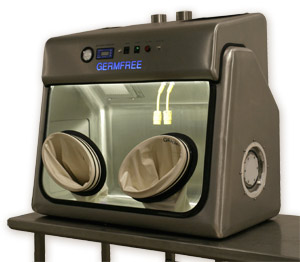 Germfree manufactures Class III Biosafety Cabinets (BSC) for a wide variety of research and development applications. 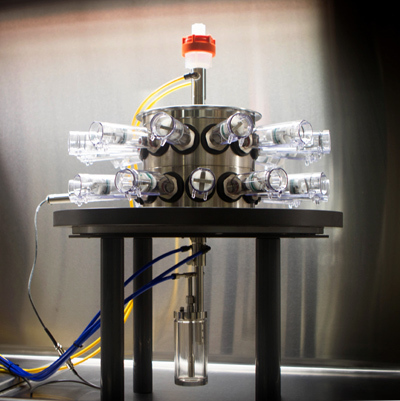 We specialize in the seamless integration of analytical instruments and process equipment. 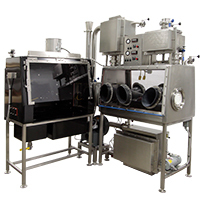 Our Class III BSCs are engineered with the optimal direct connections to any laboratory equipment, including autoclaves, incubators, and gas decon systems. Germfree designs systems that may be configured to keep analytical equipment controls outside of the containment zone. Mock-up units are used to ensure proper process flow and ergonomics. The SEA-III BSC solves the primary obstacles faced when adding Class III containment to an existing lab, namely space constraints and cost. Our engineers designed this highly ergonomic Class III Biological Safety Cabinet to work within the constraints of your lab without compromising on features, functionality and user comfort. Germfree is the industry leader for Class III BSC systems used in aerobiological studies. 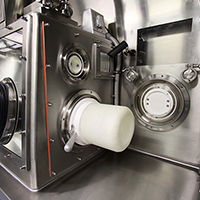 Our high containment Class III BSC-gloveboxes are integrated with the aerosol generator and animal exposure methods utilized for your applications. Our innovative designs can incorporate transfer carts equipped with Rapid Transfer Ports and Class III BSCs to insure safety for personnel and research animals. 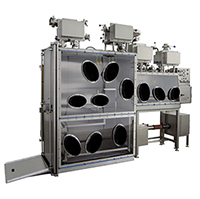 Germfree has extensive working relationships with controlled aerosol generator and animal exposure equipment manufactures. 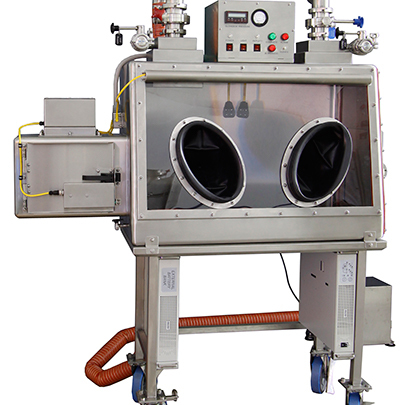 Germfree has designed and built specialized Class III glovebox systems for laboratories that are equipped to receive high-risk unknown samples such as chemical and/or biological weapons. These laboratories are operated by the Department of Homeland Security, state and local Public Health Agencies, Police and Fire Departments, and military units of many countries. Germfree makes a complete line of Mobile and Transportable Class III equipment for a wide range of laboratory applications. 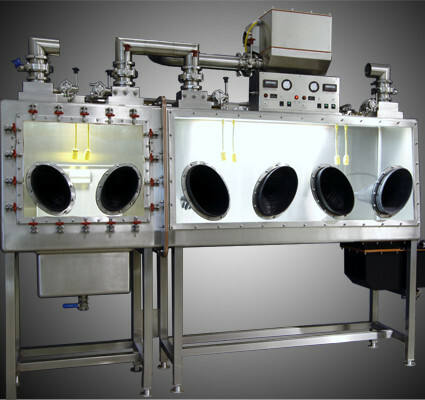 We are the leading innovator of Class III gloveboxes for mobile laboratories and designed the first field-deployable portable unit. Our exhaust air filtration systems are available with HEPA or HEPA/Carbon for either biological or chemical/biological hazards. Throughout the entire process, from concept to completion, Germfree facilitates every aspect of your project. From initial discussions to delivery and set-up, Germfree manages and guarantees every detail. A variety of processes assure adherence to exact user requirements for each Custom Class III Biological Safety Cabinet. Germfree’s Class III Biosafety Cabinets are available with features and options that are designed and fitted to meet your exact needs. These include: Pass throughs/Airlocks, Through-wall Embeds, Stainless Steel Transport Containers, Chemical Dunk Tanks, Back-Up Power Systems, Single and Double-Sided Gloveports, Reachback Cameras and Monitors, Security Bars, NBC Filter Systems, HEPA Carbon Filters.